An incredible summer dance experience! 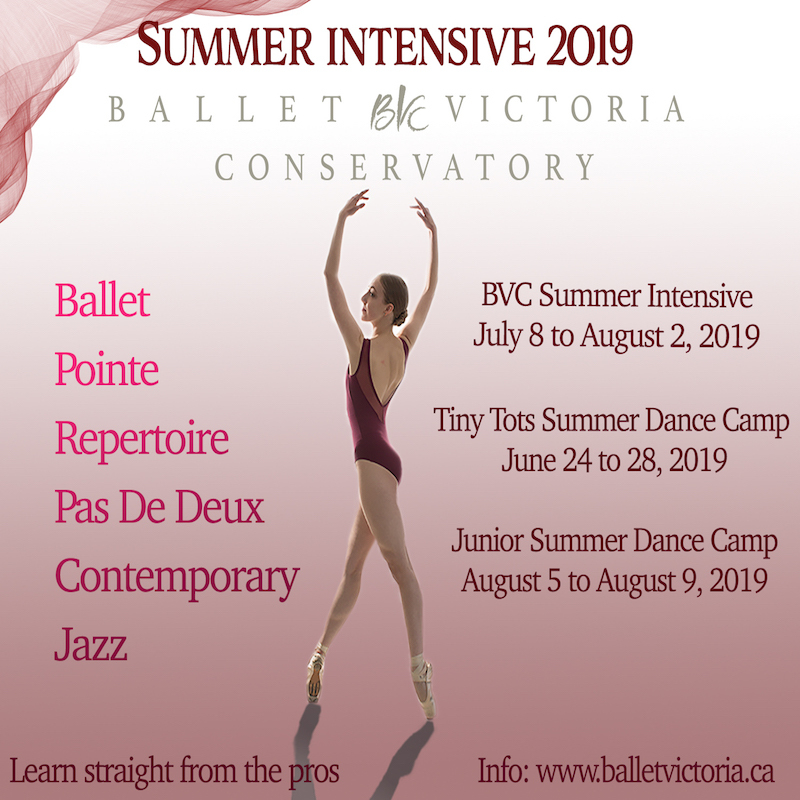 Dates: July 8th to August 2nd, 2019 (4 weeks) 10:00 a.m. – 5:00 p.m.
Requisites: Two years of ballet experience recommended. Placement into Intermediate or Senior level will be assessed by Andrea Bayne prior to registration. 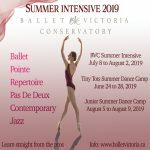 Train with Ballet Victoria’s top professional dancers! 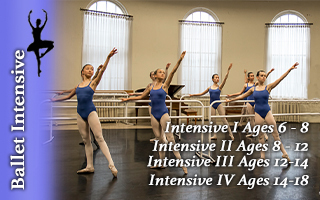 The Ballet Victoria Conservatory offers a unique four-week summer intensive for intermediate and advanced level students aged 8+. This program is led by Ballet Victoria’s principal dancers, as well as Paul Destrooper, the company’s Artistic Director. 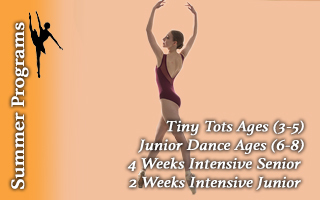 As a summer student, you will experience a program completely focused on improving your technique, artistry and confidence as a dancer. 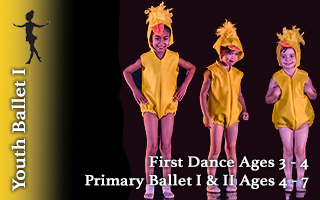 Daily classes will include ballet technique, pointe work and pas de deux (dependent upon level), contemporary, jazz/hip hop, tap and conditioning. Our class sizes are kept small to ensure individual attention is given to all of our students. Dancers wishing to apply for this incredible summer experience can audition by emailing master@bvconservatory.org with a brief description of their dance experience, and email two photos. All new students must provide two photos with their audition application (does not have to be professional): First arabesque de côté position and tendu à la seconde en face.